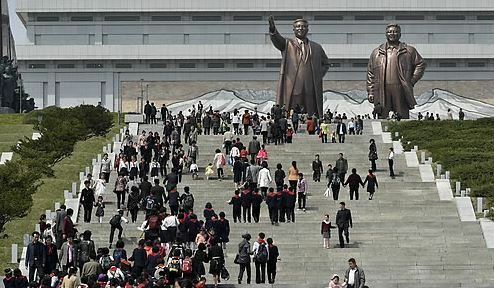 (Yonhap,March 12, 2019) North Korea will begin restricting the inflow of foreign visitors starting next week as it is struggling to cope with a surge in the number of tourists following the first US-North Korea summit last year, Chinese media reported Tuesday. (News.com.au MARCH 18, 2016) Fighting through tears and his own quivering voice, 21-year-old American Otto Warmbier never broke character. For his efforts and for his confession — Warmbier was filmed stealing a poster on January 1 — he was sentenced to 15 years hard labour. But maybe, just maybe, they were crocodile tears. One expert says “Warmbier is a clever boy” and “a convenient hostage” who, despite begging to see his family again, actually wants to stay in Pyongyang. Dr Leonid Petrov, a Korean Studies researcher at the Australian National University, told news.com.au he doesn’t buy Warmbier’s story for a second. “He’s acting, you can see if you watch the videos,” Dr Petrov said. “One video after another show he’s obviously acting. Warmbier arrived in Pyongyang on December 29 last year. The University of Virginia student was in the country to see the sights and had organised a tour with a guide. On January 1, he entered a restricted area of the Yanggakdo International Hotel and removed a poster featuring North Korean propaganda. He thought he had escaped without detection but CCTV cameras captured his every move. On January 2, he was arrested at Pyongyang airport preparing to leave the country. That’s when the meetings began. That’s when Dr Petrov believed the American hatched a plan to become as valuable to North Korea as possible. “It looks to me like he is interested in staying there. He presents himself as a victim (but) I think he’s simply trying to get the media attention and get the experience of being detained there,” he said. Warmbier’s speech, delivered a month after his arrest, has been watched around the world. In it, he expresses absolute regret. In a second video, Warmbier confessed to his crimes. He labelled himself a “severe criminal” and explained his motivations. “I committed my crime of taking out the important political slogan from the staff-only area of the Yanggakdo International Hotel, aimed at harming the work ethic and the motivation of the Korean people,” Wambier said. “After committing my crime against the people and government of the DPR Korea, I was detained. I have been very impressed by the Korean Government’s humanitarian treatment of severe criminals like myself and of their very fair and square legal procedures. Dr Petrov said Warmbier is smarter than people realise. The Theta Chi fraternity brother is on the university’s Dean’s List for outstanding academic achievement. He said Warmbier knew “more about North Korea than any of America’s previous detainees” and could be trying to find out as much as he can before he’s kicked out of the country. “He is a victim in the eyes of Americans,” Dr Petrov told news.com.au. If Warmbier is acting, the White House doesn’t know it or won’t acknowledge it. In a statement, White House spokesman Josh Earnest on Thursday called for the immediate release of the prisoner. “We strongly encourage the North Korean government to pardon him and grant him special amnesty and immediate release,” Mr Earnest said. Warmbier is not the first American to be held in North Korea but his sentence is on the extreme end of the scale. Previously, American missionaries and journalists spent time in detention under the watch of the Kim family. An Australian even made the list for leaving a bible in a temple. John Short left the religious material in a Buddhist temple in Pyongyang. The 75-year-old was sent to prison but released after 15 days. (The Guardian, 3 March 2015) Foreign tourists were shut out of already isolated country for five months, with regime citing virus epidemic thousands of miles away in west Africa. North Korea officially reopened its borders on Tuesday to foreign tourists and business visitors, according to travel agencies, nearly five months after shutting them over fear of the deadly Ebola virus. However its borders have been closed to foreign tourists since last October for fear the virus might spread, and it imposes a strict 21-day quarantine for foreign aid workers and diplomats, who have been told to stay in embassy compounds. Collings said his company had been told trade would resume under normal conditions from Tuesday. “Quarantines will be lifted for most NGO workers and diplomats resident in the country and tours will be allowed to resume in the next couple of days,” said Collings. Beijing-based travel company Koryo Tours said it had been asked by its North Korean partners to apply for tours and was expecting to take its first group of the year on 14 March. (NKnews.org 31 January 2014) North Korea has upgraded the Wonjong international border crossing at the Rason Special Economic Zone to a national-level entry and access point, meaning that visitors can now enter and depart the Rajin-Sonbong area from points other than north-eastern China. 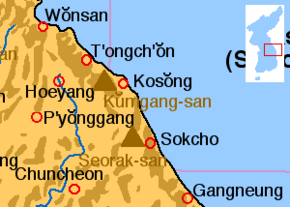 The name Rason refers to the two principal towns in the zone, Rajin and Sonbong. Until now, foreign visitors entering the Rason Special Economic Zone had been required to enter and depart the area from the Wonjong border crossing, meaning that onward travel to other destinations in North Korea was not been possible. “I inform you that Rason International Travel Company can receive tourists by new route; entry to Rason-Chilbosan-Departure from Pyongang or entry to Pyongang -Chilbosan-Departure from Rason from the new year 2014,” an officer at the Rason International Travel Company said. 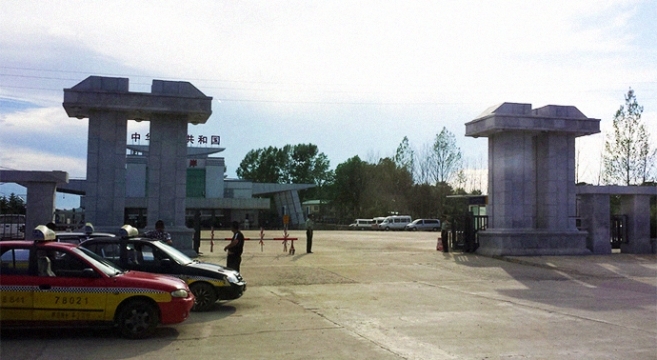 The new rules mean that visitors wishing to enter and exit the Rason Economic Zone will be able to legally pass an internal border post onward to North Hamgyong Province, North Korea’s most north-easterly region. “[The new rules] allow you to visit Rason and Pyongyang in the same trip. For tourism its good, allowing for travel companies to combine Pyongyang and Rason /Chilbosan itineraries,” one source from the North Korea travel industry told NK News. 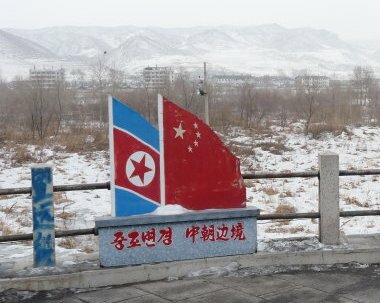 Foreigners visiting North Korea from nearby Yanbaian province in China were until now required to enter the country through a border at Namyang, near the city of Hoeryong in North Hamgyong province. But Rason’s status as a Special Economic Zone has meant that onward travel even from nearby Namyang has not been possible. 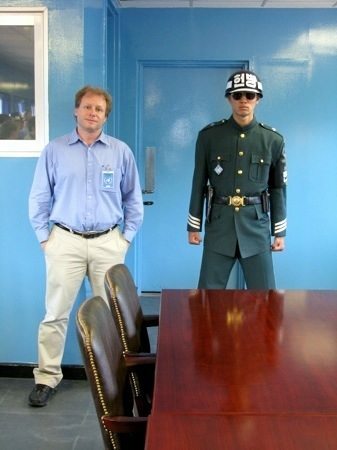 (NK News.org by CHAD O’CARROLL , 23 NOVEMBER 2013) Detained American citizen Merrill Newman travelled to North Korea on a ‘private tour’ with British tour company Juche Travel Services, company founder David Thompson confirmed to NK News on Friday. The agency, which only learned that it was involved in Newman’s case on Thursday, said that it currently had no information as to why the 85 year old Korean War veteran had been removed from a flight leaving Pyongyang on October 26. Unlike group tours – which are usually accompanied by one or two Western staff and the mandated two local North Korean guides – ’private’ tours are normally only accompanied only by the requisite two North Korean guides. ‘Private tours’ therefore inherently carry increased risk for visitors, lacking the protection of accompanying Western guides who can help guide discussion away from controversial topics such as the Korean War – a topic which Newman was said to have discussed immediately prior to apprehension. “The question is what that conversation with the minder and an unidentified government official was about,” North Korea watcher Leonid Petrov told NK News. While Juche Travel Services said that Newman, who served as an infantryman for three years during the Korean War, had been briefed before travel in Beijing on the dos and don’ts of travel in North Korea, there was in effect nothing to prevent Newman from raising sensitive subjects during his stay. “He probably was looking for graves or insisting on some additional places to visit and was not permitted. That could easily have made him upset or say something reckless that might have triggered the arrest,” Petrov told NK News. Another source, who insisted on anonymity due to regular travel in North Korea, reaffirmed to NK News the sensitivity of talking about the Korean War while visiting the DPRK: “After that conversation on the Korean War, I’m 95% certain that those Koreans who heard it would have had to file a report with the Security Bureau. That report would have then been read by the relevant security department the next morning, giving them just enough time to nab the guy before he flew away. “The war is still very sensitive,” the source underscored. This year North Korea has invested significant resources in developing infrastructure that could be used to attract tourists, including an international class ski resort near the port city of Wonsan and several new water parks around Pyongyang. The arrest then of 85 year old Newman, which led to a blanket State Dept. travel warning being isused against all American travel to North Korea, has therefore led to confusion about Pyongyang’s intentions among some observers. But a source that travels regularly to North Korea told NK News that viewing the arrest of Newman as an indicator of Pyongyang’s over-arching objectives simplifies what is actually a layered, multi-polar power structure. “When someone says, “Wow, detaining this guy is bad for their tourism industry or relations with America – why would “they” do that?” it is important to remember that the “they” is not an accurate portrayal of the actual situation. As of yet, North Korean state media outlets have mentioned nothing about Newman’s arrest, a factor that differentiates his case from the arrest of other U.S. nationals in recent years. In fact, the arrest of Dutch stamp collector William van der Bijl in 2011 is the only other time a foreigner arrested by North Korea has not been mentioned directly by state media. 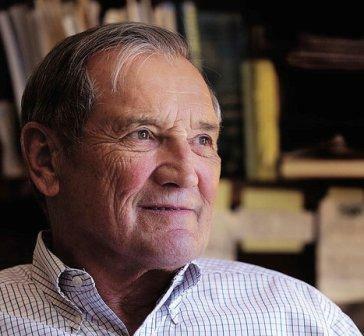 “Normally the North Koreans acknowledge these kinds of incarcerations fairly soon after they they occur,” David Straub, a long-time North Korea watcher at Stanford University said on Wednesday. “Most of the incarcerations have involved Asian-Americans, Korean-Americans; this is one of the few Caucasian Americans this has happened to, and it’s the first elderly American that I can think of,” Straub added. Kenneth Bae is a Korean-American that has been imprisoned in North Korea since November 2012. “The North Korean authorities might worry about foreigners misbehavior, so it makes sense to remind the them of their proper place. Nonetheless, too early to say anything with certainty,” Lankov added. Newman is the seventh U.S. national to be arrested in North Korea since 2009. North Korea and the U.S. are still technically at war, having never signed a formal peace treaty. North Korea is developing its tourism industry as a way to increase its foreign currency earnings. Recently, there appear an increasing number of tour packages targeted attracting Chinese visitors to the DPRK, with new tour packages actively being promoted. The Korean Central News Agency (KCNA) reported on October 8 that there are new professional tour programs that are gaining international attention. In the article, new and creative tours were featured,including Mount Paektu tours with [Air] Koryo Airlines and bicycle tours. Mini-golf tours are also reportedly scheduled for next year. Along with North Korea, Chinese tour companies are also taking interest in this effort and are developing various tour packages via air, land, and sea routes. In June, charted plane tours from Shenyang started, and now new tours from Dalian to Mount Kumgang are also being launched. 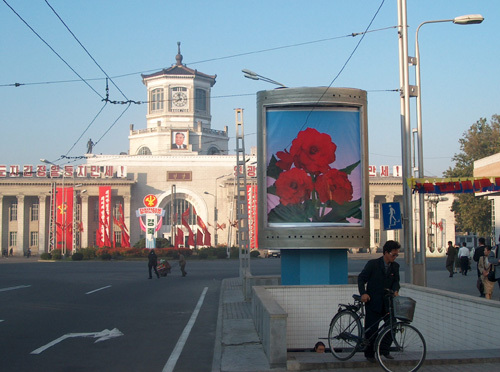 Across the border from the North Korean city of Sinuiju is the Chinese city of Dandong, where there are over ten travel agencies that operate daily train tours between the two cities. 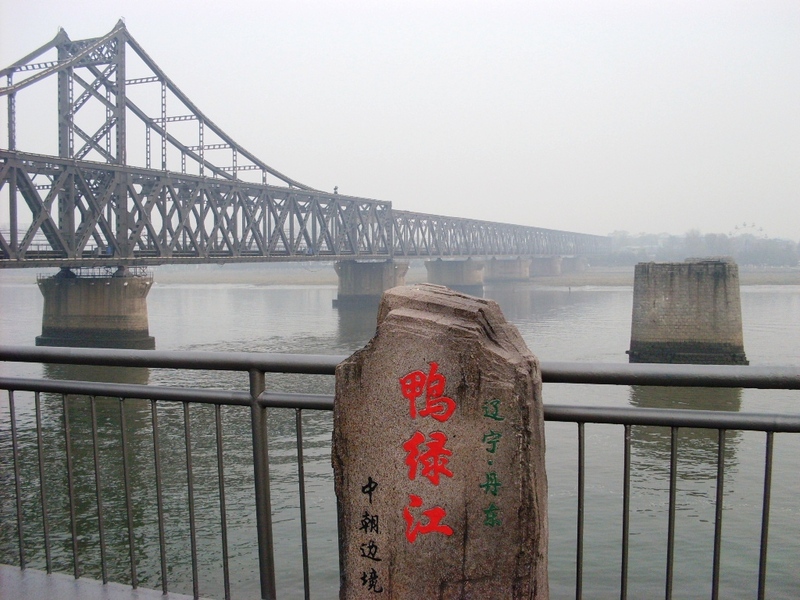 In fact, during holidays and weekends, more and more Chinese tourists are flocking to the China-North Korean Friendship Bridge that traverses the Yalu River, connecting the two cities. The recent rise of Chinese tourists to North Korea is attributed to the aggressive marketing schemes of the North Korean government. The State Tourism Bureau teamed up with a Chinese travel company to run a tour to Mt. Paektu. North Korea, faced with international economic sanctions, has limited means to earn foreign currency. The new Kim Jong Un regime is actively seeking ways to earn foreign capital through the tourism industry. Chinese companies are responding positively and swiftly to this change and are coming up with new tourism programs. North Korea is utilizing its image as ‘closed country’ and ‘hermit kingdom’ to stimulate curiosity among tourists. More and more Chinese are able to enter North Korea without a visa (requiring only their passports) and this is adding to the spike in Chinese tourists to the country. Most Chinese travel agencies are able to make all the necessary travel arrangements to North Korea in less than a week once the interested person submits his/her passport and photos. However, there are comments from returning visitors that tours are limited to historic and famous sites and somewhat insular as contact with the locals is prohibited. North Korean national security agents accompany all tour groups. Despite this fact, many experts expect the number of Chinese visitors to the DPRK will continue to increase in the future. PYONGYANG – Although the North Korean government is known for being paranoid about foreign visitors, it has recently adopted a softer attitude toward Chinese tourists on the issue. The totalitarian regime has also been modernizing its infrastructure to lure Chinese visitors, as was noted by senior North Korean tourism department official Hong Yin-chel at an economic, trade, culture and tourism promotion event hosted jointly with China in October. PYONGYANG, North Korea — This reclusive and secretive country is now officially open for business — the tourism business, that is. It has mountains, rivers, waterfalls and pine forests. Pyongyang, the capital, boasts 70 parks, water so clean you can drink from the tap, wide boulevards uncluttered by traffic or neon signs, beautiful traffic policewomen at nearly empty intersections, and a plethora of soaring monuments and memorials. Just don’t bring your cellphone or BlackBerry, don’t try to send an e-mail, don’t plan to stroll down a street, and never try to talk to strangers or take pictures of ordinary people. None of that is allowed. This is North Korea’s unusual experiment in opening its door a tiny crack — allowing foreign tour groups, their cash and investors into the country, but under strict admonition to restrict movement and to avoid even the most casual contact with daily life. A group of 70 Chinese tourists and potential investors was allowed in this month on what was billed as the maiden tourist charter flight from the northeastern Chinese city of Harbin, in Heilongjiang province. Most of the visitors owned or worked for travel agencies and took the trip to check out the possibilities. A handful of others were Chinese of Korean origins, coming to see the land of their parents or grandparents. A correspondent and interpreter from The Washington Post, as well as a reporter and cameraman from German television station RTL, were allowed to accompany the group on the four-day, three-night trip to Mount Kumgang and Pyongyang. The attempt at isolation began at the Harbin airport when members of the group were instructed to leave all cellphones and MP3 players behind, sealed in plastic bags for retrieval on the return trip. In Pyongyang, the group was instructed not to leave the confines of the high-rise hotel, conveniently (though not for the tourists) isolated on an island in the Taedong River. The visitors were also told not to take photographs of construction sites or unfinished buildings, which guides warned might be used for propaganda purposes outside the country. After that incident, South Korean President Lee Myung-bak officially ended his predecessor’s “sunshine policy” of engagement with the North. With South Korea and the United States suspending food aid to the North, China has become the Pyongyang government’s main supplier of food and most of its energy needs, although the precise amounts are not made public. Tourism is one thing. Making investments is quite another leap most were not yet ready to make. “I wouldn’t invest in this place, at least not right now, because it’s so backward,” said Li Zhigang, a businessman from Heilongjiang province. An unprecedented look at life inside the DPRK, led by Dr James Hoare, formerly Charge D’affaires in Pyongyang. The tour starts with briefings and analysis from the region’s leading experts in Beijing. Political Tours has combined with DPRK specialists Koryo Tours to provide unprecedented access to one of the world’s most isolated regions. The tour aims to provide both the latest analysis on the region with pre-tour briefings from leading experts on the region in Beijing, and an inside view of life in the country with visits to areas rarely seen by foreigners. Our tour starts in Beijing with briefings on diplomatic relations between the Democratic People’s Republic and the main negotiators in the six-party talks, as well as recent incidents that have affected North-South relations. Experts give us up-to-date briefings on the region’s economy and outline possible scenarios for its future. Our itinerary in the DPRK itself encompasses areas that few foreigners have seen. 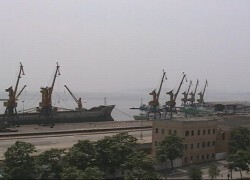 We visit Wonsan, an important port on the east coast, and Hamhung, the DPRK’s second largest city which was closed to foreigners until 2010. We gain rare access to factories, a university, a farm, and several schools. 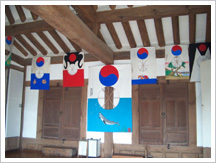 The tour is designed to give the best possible insight into the lives of ordinary Koreans today. In Pyongyang we look at the structure of the state and government today, with briefings from official Korean guides on recent history, as well as the role of Korea’s Juche philosophy and the continuing importance of the Kim family to North Korea today. There will be between 10 and 18 participants on this tour. If we do not meet the minimum required number the tour may be cancelled and your money will be returned to you. Our prices do not include the cost of flights to Beijing and Pyongyang. The cost of the plane to Pyongyang from Beijing is €255.00 and can be purchased before departure. We can make a reservation on your behalf. The return trip is by train and is included in the price. SEOUL, Aug. 22 (Yonhap) — North Korea said Monday it will legally dispose of all South Korean property at its scenic mountain resort, blaming Seoul for not responding to its proposals on how to handle the assets. 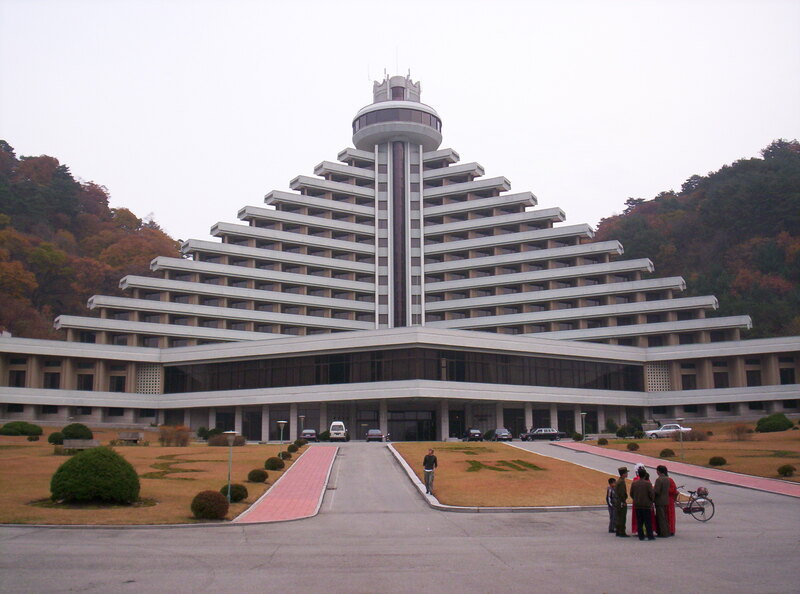 Pyongyang has threatened to dispose of the roughly 484 billion won (US$447 million) worth of assets unless South Korean business representatives visit the resort on Mount Kumgang on the east coast to discuss ways to handle their property. Tour programs to the resort were suspended in 2008 following the shooting death of a South Korean female tourist there. North Korea “considers that the South Korean authorities totally abandoned the protection of property and interests of enterprises of the south side and from now on makes a real legal disposal of all the properties including real estate, equipment and vehicles of the south side” at the resort, an unidentified spokesman for the resort’s guidance bureau said, according to the North’s official Korean Central News Agency (KCNA). North Korea informed the South late last month that it would give business representatives three weeks to visit and choose between joining an international tour program for the resort and disposing of the assets through a lease, transfer or sale. Earlier this year, the North announced a law designed to develop the resort as a special zone for international tours after unilaterally terminating exclusive tourism rights for Hyundai Asan, a key South Korean tour operator at the resort. Four officials from Hyundai Asan visited the resort on Friday, the deadline set by the North, to try to resolve the dispute, but the spokesman said the meeting only proved that the South “has no intention to resume tours of Mount Kumgang and respond to the adjustment of properties but is keen to realize its sinister intention to use noble tourism for the purpose of confrontation.” A delegation of South Korean government officials and business representatives has also held two rounds of talks with the North since late June, but little resulted from them. The North Korean spokesman added that all South Korean materials and property were prohibited from being taken out of the resort starting Sunday at midnight, according to the KCNA dispatch. He also ordered all South Korean personnel at the resort to leave within 72 hours. “The puppet conservative group is entirely to blame for the situation today when the tour of Mount Kumgang has reached such a deplorable pass, though it had been under way amid the attention of all Koreans and the whole world and its crimes will be denounced and cursed by them for all ages,” the spokesman said, referring to the South Korean government. Chun reiterated the government’s stance that it cannot recognize the North’s “unilateral actions” and will hold Pyongyang responsible for the consequences. He also said the government will hold talks with Hyundai Asan and other relevant firms to ensure the safety of the 14 South Korean staff at the resort. The South Korean staff members are expected to return on either Tuesday or Wednesday, within the North’s given time frame, and currently face no risks to their safety, a government official said on the condition of anonymity. Later Monday, the resort’s guidance bureau informed the South Korean government of its plan in a separate message sent to the Unification Ministry. It added that if the South does not follow its orders or damages the assets at the resort, it will respond “sternly according to law.” The warning appears to stem from the North’s concerns about damage being done to three power generators operated by Hyundai Asan, which supply electricity to the resort. South Korea had invested tens of millions of dollars building hotels, restaurants and a golf course at the resort since 1998 when the North opened it for South Korean tourists. The government and the state-run Korea Tourism Organization spent some 124 billion won on a reunion center for families separated by the 1950-53 Korean War, a fire station, a culture center, a hot spring resort and a duty free shop. North Korea seized all the facilities last year in apparent anger over the suspended tour program, which had served as a major source of hard currency for the cash-strapped regime. South Korean private firms, including Hyundai Asan, invested an additional 360 billion won in building hotels, a golf course and other facilities, but the North froze all these assets last year. Meanwhile, South Korea will go ahead with its plan to deliver 5 billion won worth of emergency staples to flood victims in the North on humanitarian grounds, said Chun, the ministry spokesman. to North/South Korea and China in one go! A rare opportunity to visit both Koreas during one tour is offered by the KoreaKonsult Co. You will be in China for the National Day celebrations (Oct 1) and in North Korea for the anniversary of the Worker’s Party of Korea (Oct 10). 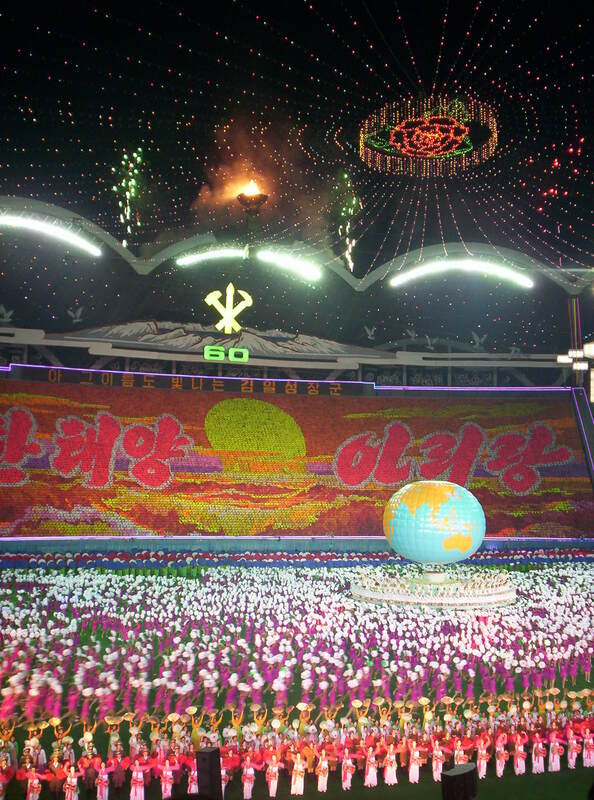 You will also attend the ARIRANG Mass Games at May Day Stadium in Pyongyang. Special tour 2 (Two Koreas and China): 4 nights in China, 4 nights in South Korea, 4 nights in North Korea (+1 night on the train). By its nature, traveling to North Korea is a fascinating, unique and unforgettable experience. Approximately 2,000 Western tourists visit the country per year, with the majority spending their time visiting the country’s best known sites and monuments, places like the Juche Tower, USS pueblo, DMZ, Mansudae Grand Monument and of course, Arirang. But there is a lot more to North Korea than the polish of Pyongyang. 2010 saw new destinations like Hamhung opening their doors to foreign tourists, with new regulations giving American visitors far greater access than ever before. But with a wide range of operators now offering packages to travel North Korea, deciding on the right option has become an increasingly difficult choice. As part of a new and regular feature, NK News (DPRK Information Center) will now survey the options available for prospective tourists and highlight those itineraries that merit particular worth. Tours will be showcased appropriately for the main viewers of this website – serious North Korea watchers. As such, selections will be based on originality, value for money and the extent to which they give an impression of the “real” North Korea. *Price Includes: Transportation to and from Beijing, all internal flights and transportation, hotels, and food. (Chosun Ilbo) Seoul on Thursday declined a proposal from North Korea to discuss a resumption of package tours to Mt. Kumgang on the agenda of Red Cross talks scheduled on Friday in Kaesong. The purpose of the meeting is to discuss fresh reunions of families separated by the Korean War. Korea Konsult Co. offers a special “Film Tour” (21-26 Sep. 2010) which will bring you to Namp’o, Kaesong and P’anmunjom, and include a film viewing and participation in the closing ceremony of the 12th Pyongyang International Film Festival (17-24 Sep.), which encourages the development of national film in all countries under the motto “Independence, Peace and Friendship”. You will also attend the incredible ARIRANG Mass Gymnastics Show of 100,000 performers hosted at Pyongyang May Day Stadium, one of the biggest sport arenas in the World. 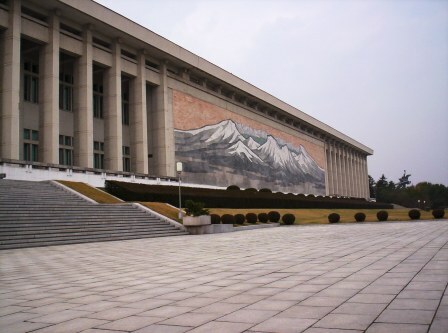 In Pyongyang, you will visit the Kumsusan Memorial Palace — the Mausoleum of President Kim Il-Sung — and the American spy ship USS Pueblo, captured by North Koreans in 1968. You might meet one of the 7 Korean seamen who captured this 1,000-ton ship, equipped with various kinds of arms and sophisticated reconnaissance facilities with 81 U.S. seamen on board. Enjoy a day trip to Kaesong (the former capital of Korea and the ginseng cultivation centre of today), located just 8 km from the Demilitarised Zone which divides the Korean peninsula. 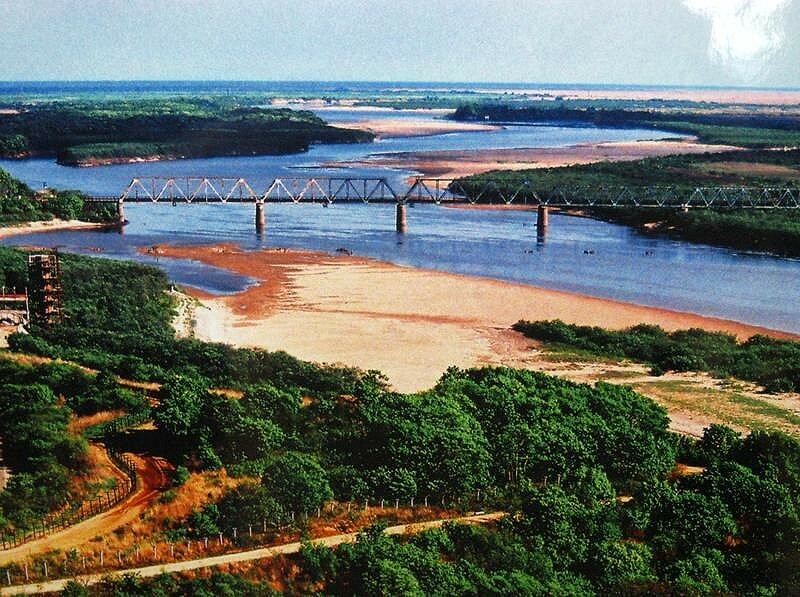 If you cross the North Korean border with China by train you will see the historic bridge across the Yalu river which was destroyed during during the Korean War (1950-1953). China has rebuilt its half of the bridge but North Korea intentionally did not, willing to leave the bridge in ruins as a monument to the Korean War. See details here… Price – 1180 Euro per/person. In brief, this tour travels from Beijing up to the North East Chinese city of Yanji from where we enter North Korea’s Rajin-Sonbong free trade zone, we then journey into DPRK-proper and the industrial city of Chongjin and the stunning and remote Chilbo mountains before heading back up the coast and crossing into Russia by train, visiting some remote areas and then heading by boat to Vladivostok from where we fly back to Beijing having seen a vast variety of sites, experienced several distinct cultures and seen places and things that almost no western tourists have ever been anywhere near. Simon Cockerell will accompany this tour and we have a mere 20 spaces open for this first time trip, if you’d like to know more then please get in contact with us and we hope you can come along with us, this is the first time such a tour has ever been offered by anyone. Be a part of regional tourism history! North Korea on Tuesday made good on its threat to shut down facilities owned by the South Korean government and the Korea Tourism Organization in the Mt. Kumgang resort area. 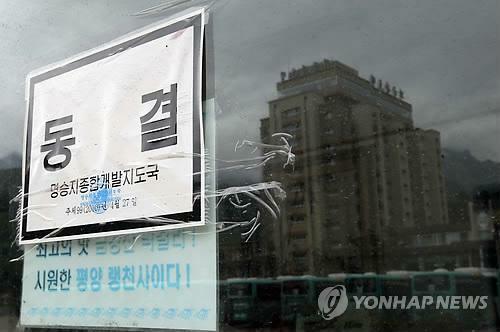 Officials posted stickers saying “seized” on the entrances to five buildings including a meeting hall for families separated by the Korean War that was built at great expense by the South Korean government only a couple of years ago. According to the ministry, North Korean officials shut down two South Korean government buildings, the meeting hall and a fire station, and three KTO facilities, a hot spring spa, a cultural hall and a duty-free shop, between 10 a.m. and noon Tuesday. No great damage was apparently done to the fire station, as fire trucks and other facilities worth W1.7 billion (US$1=W1,122) had been moved to a building owned by Hyundai Asan, which has apparently been spared thanks to its long working relationship with the North. The North has already threatened to “reconsider” the joint Korean Kaesong Industrial Complex project if lucrative package tours to Mt. Kumgang are not resumed. Chinese officials have announced plans to increase the number of Chinese tourists visiting North Korea from the border region of Yanbian 延边 and are hoping to involve South Korean airlines and to include Vladivostok on the itinerary, a Chinese website reports. The head of the Yanbian tourism bureau, Jin Chengwen 金成文 (Kim Seong-mun), was quoted as saying they were investigating plans for tours starting in the main city in the region, Hunchun 珲春, which would take in the Russian Pacific port of Vladivostok and Baekdusan 백두산, a mountain on the Sino-Korean border that is the purported birthplace of leader Kim Jong-il, as well as tours from the North Korean port of Rajin 라진 to Pyongyang and Panmunjom. He said he hoped Korean Air and other South Korean and Chinese airlines would become involved, but gave no details. It was hoped that Chinese tourists would not need passports to visit North Korea, he added. Another Yanbian tourism official said there were already tours from the border town of Sanhe 三合 to the industrial city of Chongjin 청진 and Baekdusan and to Samji lake (Samjiyeon 삼지옌), a scenic spot near Baekdusan, and Pyongyang, and they were hoping to add a Rajin-Pyongyang-Panmunjom tour. “North Korea is hoping more Chinese tourists will come and tour their country,” he added. The report said the tourism plans were connected to an agreement announced this month under which China gained the use of a pier at the port of Rajin 라진 for 10 years to help the development of the border region and give Jilin province access to the Pacific. As NKEW reported last year, Chinese officials are also talking about cruises from Hunchun to the North Korean port of Raseon 라선 (Rasŏn/Naseon/Nasŏn) (which somewhat confusingly seems to be the same as Rajin), Sokcho 속초 in South Korea, just south of the DMZ, and Vladivostok. 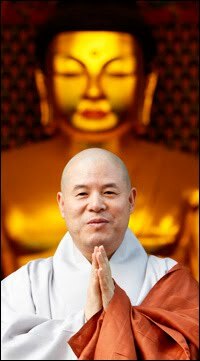 SEOUL (Yonhap) — South Korea’s largest Buddhist sect said on Feb. 3 that its leader visited North Korea on Jan. 30-Feb. 2 in an effort to promote bilateral religious exchanges, despite sharpened military tension on the Korean Peninsula. Debriefing on the rare trip to the socialist country, the Jogye order said Rev. Jaseung met with leaders of the Buddhist Federation of (North) Korea, the North’s body of the religion, to explore ways of reinforcing Buddhist exchanges and other non-government exchanges between the Buddhist sects of the two Koreas. “Rev. Jaseung agreed with North Korean Buddhist leaders on comprehensive exchanges and cooperation. We hope the agreement will help improve inter-Korean ties and exchanges,” the Buddhist sect said. In line with the agreement, up to 4,500 South Korean Buddhist adherents will visit the Singye Temple on Mt. Kumgang on the North’s east coast in March, it said, adding they will make the trip in three groups. The Jogye order, however, failed to disclose the specific timetable. The temple, which was left in ruins during the 1950-53 Korean War, was restored in 2007 after five years of work supported by the Jogye order but soon became off-limits to South Korean tourists because of a shooting incident at the mountain in July 2008. North Korea lifted a travel ban imposed on Americans, Radio Free Asia reported Thursday. Quoting Walter L. Keats, the owner of Asia Pacific Travel, Ltd, based in Illinois, the news report said Americans can now visit North Korea anytime they wish. Asia Pacific Travel is a travel agency specializing in North Korean tours. Until now, American tourists were only granted visas to the repressive regime between August and October. Many view the change as the impoverished North Korean regime’s dire attempt to earn more dollars. Keats also told the radio that restrictions on the duration of the tours and on travel routes are still in place, but will eventually be abolished. American visitors are not allowed to stay longer than four nights, nor to travel via train through China. Universities, science and technology research institutions and publishing houses might be interested in participating in this book exhibition. PISTBF introduces and shares the world’s recent science and technology achievements through books exchange and aims to develop friendship and cooperation between the nations. All institutions and organisations interested in participation should contact L&J Development and Consultancy. At the exhibition the participants can conclude contracts of copyright and books sale with international organisations and North Korean publishing houses, they can discuss the practical issues, share the opinion and update their knowledge on the recent developments in world science and technology. All the participants can exhibit recently published science and technology books, CDs and DVDs. “However, the authorities of the south side are taking very dishonest attitude, instead of responding to our side’s good faith and magnanimity. The authorities of south Korea including officials of the “Ministry of Unification” raised the “three preconditions”–probe into the truth behind the “case of a tourist”, prevention of recurrence of such case and guarantee of personal safety–for the resumption of tourism, shifting the blame for the suspended tourism on to north side. And they have unhesitatingly made such reckless remarks that they will not resume tourism without getting response to those demands and do not acknowledge the “agreement with civilian businesswoman”. Furthermore, they are demanding an “apology” for the said “case” while blaring that they will not allow cash-term tourism even though the “preconditions” are met and that the resumption of tourism of Mt. Kumgang and Kaesong will be possible only under the condition that transparency for the return from tourism is ensured. What amazed us is that such smear campaign for confrontation was joined by the chief executive of south Korea. The above-said remarks are sheer sophism reminiscent of a thief crying “Stop the thief!” and a blatant insult and mockery of the DPRK’s sincerity and efforts. As a matter of fact, it is none other than the south side which gets benefit from Mt. Kumgang tourism. It is clearly exemplified by the fact that after the suspension of Mt. Kumgang tourism the Hyundai Asan was put on the verge of bankruptcy and dozens of relevant enterprises suffered a lot, to say nothing of the livelihood of the inhabitants in the area of South Kangwon Province. All facts go to clearly prove that the ulterior intention of the south side authorities including the “Ministry of Unification” is not to resume Mt. Kumgang tourism and that they only seek to take an active part in the U.S. farce to apply “sanctions” against the DPRK and thus stoke confrontation with fellow countrymen, regardless of the inter-Korean relations and the fate of businesses of the south side and its people’s livelihood. The issue of the resumption of the tourism brought into bolder relief their true colors of the present authorities in south Korea as obstructionists of reconciliation and cooperation and die-hard confrontational elements of the nation. It is needless to say that as long as such anti-reunification elements as Hyon In Thaek are allowed to stay in the ministry it is impossible to make smooth progress in the resumption of Mt. Kumgang tourism nor is it possible to improve the inter-Korean relations. Absolutely intolerable are the ministry’s moves to abuse even the noble tourism for inciting confrontation with fellow countrymen. All the Koreans will never pardon Hyon and the ministry. The ministry and the conservative authorities of south Korea should immediately stop ridiculous acts, facing up to the trend of the times. PYONGYANG, Oct. 13, 2009 (Xinhua) — An inter-Korean joint Buddhist mass praying for national reunification was held at Singye Temple at Mount Kumgang resort in the Democratic People’s Republic of Korea (DPRK) on Tuesday, the official KCNA news agency said. The mass praying, which celebrates the second anniversary of the restoration of the temple, was attended by office-bearers of the DPRK’s Central Committee of the Buddhist Federation, and priests and believers both at the temple and from Jogye Order of South Korea, the representative order of traditional Korean Buddhism. Representatives of both sides said it was a manifestation of the will that the Buddhists of the two sides would like to strengthen bilateral solidarity and cooperation in the efforts to achieve national reunification, the KCNA said. They also vowed to pave the way for a tour of Mount Kumgang resort and a pilgrimage to Singye Temple, it added. The Singye Temple was built in 519 and has been ruined several times in its history. The DPRK and South Korea rebuilt it two years ago. Employees working at the Kaesong Industrial Complex pass the temperature sensor installed at the Dorasan C.I.Q. in Paju city, Gyeonggi Province, Sept 1. On the same day, North Korea removed their limitations on exit and entry to Kaesong that have been in place since last Dec.
SEOUL: A South Korean tour operator said it would launch a programme of trips to the world’s last Cold War frontier after its tourism ventures inside communist North Korea were shut down. Hyundai Asan said the programme beginning May 2 would include visits to the southern edge of the four-kilometre-wide buffer zone dividing the two Koreas. The programme comes amid high tensions which have stalled the company’s tourism programmes to the North’s border city of Kaesong and to the Mount Kumgang resort across the frontier on the east coast. The Demilitarised Zone (DMZ) has split the peninsula since the 1950-53 war. South Korean officials want to develop military-controlled areas abutting the zone as a tourist attraction. Hyundai Asan said its new programme includes one-day tours costing 46,000 won (34 dollars) per person to border areas at Paju and Yeoncheon, north of Seoul. Two-day tours to the border area at Yanggu, 175 kilometres northeast of Seoul, and to Mount Sorak on the east coast, will cost 118,000 won. “Along with trips to front-line fences, tourists will be allowed to see wildlife and other places which remained untouched for decades,” a Hyundai Asan official told AFP. 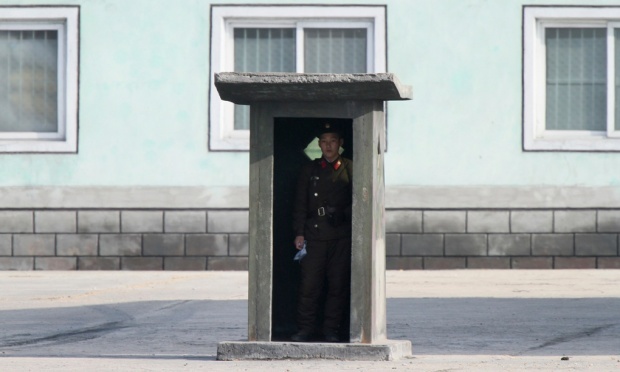 Visitors will not be allowed inside the DMZ itself. Hyundai Asan said the new programme would help ease its financial woes, which began when a South Korean woman tourist was shot dead when she strayed into a military zone at Kumgang last July. The Seoul government halted tours to Kumgang after the shooting, while Pyongyang barred the one-day tours to Kaesong city as relations worsened. The deadline for bookings is 25 August 2008. SEOUL (Yonhap) — Upon the request of North Korea, additional South Korean and foreign workers have left a South Korean-run resort in North Korea this week amid lingering tension over the killing of a South Korean tourist there. 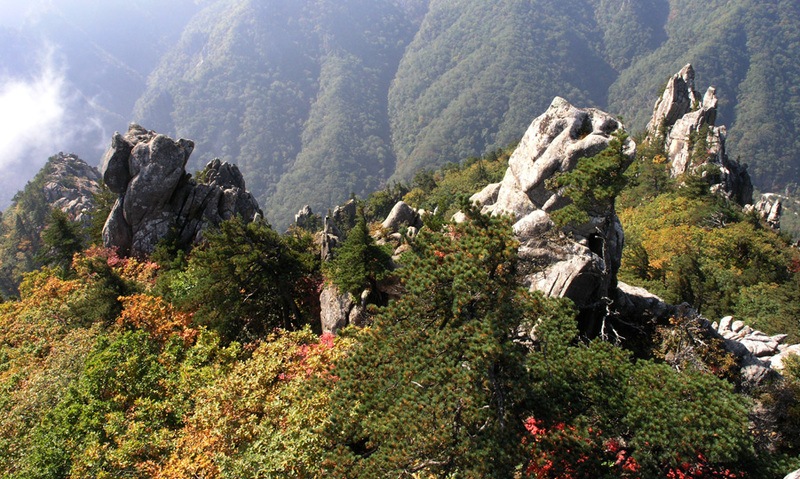 South Korea suspended tourism to the North’s Mt. Kumgang resort after Park Wang-ja, a 53-year-old housewife from Seoul, was shot dead by a North Korean soldier while vacationing at the resort on July 11. The resort on the North’s east coast has been open to South Korean tourists since 1998. The North’s tourism authorities in control of the area asked Hyundai Asan, the tour operator, to further cut the number of residents at the resort to 200 by Aug. 20, Kim Ho-nyoun, spokesman for the Unification Ministry, told reporters on Aug. 18. The request came after North Korea announced it will eject “unnecessary” South Korean personnel from the resort in steps beginning Aug. 18. “I understand a senior-level official of the North’s Guidance Bureau for the Comprehensive Development of Scenic Spots visited Hyundai Asan’s office at Mt. Kumgang last week to deliver the verbal message,” Kim said. As of Aug. 18, 536 workers, including 114 South Koreans, were staying at the resort, with 337 of them scheduled to return to the South by Aug. 20. Following the pullout, only 199 people — 74 South Koreans and 125 other nationals deemed “necessary” to manage the resort — will remain, according to the ministry. North Korea has rejected Seoul’s demand for a joint probe into the killing, defending the shooting as a “self-defense measure.” Park had entered a fenced-off North Korean military zone while strolling along the beach within the Mt. 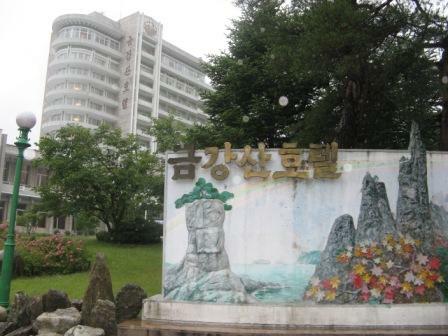 Kumgang resort. Korea Herald (Kim So-hyun , “SEOUL HAS N.K. PLANS, BUT STAYS MUM”, 2008/07/25) reported that a senior government official said that Seoul has a plan of action should Pyongyang continue to refuse to cooperate on investigating the death of ROK tourist Park Wang-ja. “We have our own plans but it is not time yet to specify what the plans are,” said the government official who requested not to be named. The senior government official mentioned that many ROK visitors to the DPRK said they were requested by the DPRK’s authorities not to mention the shooting death to DPRK civilians because they are currently unaware of the shooting death. Agence France-Presse (“RICE URGES NKOREA TO TALK TO SKOREA ON TOURIST DEATH”, Perth, 2008/07/25) reported that US Secretary of State Condoleezza Rice urged the DPRK to take up Seoul ‘s offer to engage in direct talks over the shooting death of a ROK tourist in the DPRK. “I hope the DPRK will take up the invitation of South Korea to have direct talks concerning the tragic death of the South Korean tourist,” Rice told reporters on the plane from Singapore to Perth , Australia . “There needs to be an investigation of what happened but principally so that there can be steps taken so that tragedies like this don’t happen again,” Rice said. Associated Press (Hyung-jin Kim, “SOUTH KOREA STRUGGLES TO PROBE TOURIST DEATH”, Seoul, 2008/07/25) reported that ROK fact-finding commission chief Hwang Boo-gi said Friday his team cannot resolve numerous questions about the July 11 shooting because the DPRK refuses to allow investigators into Mt. Kumgang. To find out whether the shooting was accidental, Hwang told reporters, his team needs to know from what location the DPRK soldier fired shots and other details. Korea Times (Jung Sung-ki, “SEOUL TO RAISE TOURIST SHOOTING AT ASIAN FORUM”, Seoul, 2008/07/21) reported that the ROK will deliver a message of protest during an Asian security forum that opened Monday in Singapore against the DPRK’s recent killing of an ROK tourist at the Mount Kumgang resort, an official said. “We will raise the issue of the tourist killing as an official discussion topic at the forum,” the official said. “It’s natural to raise the issue given the forum is the venue for talks over regional security affairs.” The United States, Australia, Singapore and some other nations are in support of addressing the incident during the talks, so there is a possibility that the issue could be included in the chairman’s declaration at the end of the meeting, he said. Asiaeconomy (“SILENCE FOR JAPAN, CONVERSATION FOR THE DPRK”, 2008/07/18) wrote that the ROK government decided to officially propose the Mt. Kumgang incident be discussed at the ARF. The ROK government seems to request a approval of a joint investigation committe for on the spot inspection. However, the ROK government is also considering decisive measures if necessary. Kim Ho Nyun, the spokesman of the Ministry of National Unification, mentioned that safety and security matters should be considered for Kaesong tourism, implying that suspension of Kaesong tourism can be done to pressure the DPRK. Yonhap (“N.K. SAYS SHOOTING WAS ACCIDENTAL: CIVIC ACTIVISTS”, Seoul, 2008/07/21) reported that DPRK officials say the killing of an ROK tourist by their soldier was unintentional and are worried about possible far-reaching repercussions on inter-Korean ties, ROK civic group activists said Monday. “Many North Korean officials with the North’s Council for National Reconciliation asked about the atmosphere in the South (following the incident). Some said the shooting was not premeditated,” a civilian group official who recently returned from a trip to Pyongyang said. Associated Press (Hyung-jin Kim, “OFFICIAL: SKOREA MULLS HALTING OTHER NKOREA TOURS”, Seoul, 2008/07/18) reported that ROK President Lee Myung-bak convened a National Security Council on Friday to discuss last week’s killing of an ROK tourist at Mt. Kumgang. It was the first time Lee has convened the council since taking office in February. Officials at Friday’s meeting agreed that the Kaesong tours would also be put on hold if strict safety measures for visitors were not assured, presidential spokesman Lee Dong-kwan told reporters. Herald Media (“A WEEK AFTER THE MT. KUMGANG INCIDENT, THREE THINGS THE DPRK WILL LOSE”, 2008/07/18) wrote that a week after the Mt.Kumgang shooting incident, the DPRK is still refusing the on the spot investigation and there are voices insisting on a more harsh reaction, including sanctions, communications severance and international level pressure. The DPRK is expected to suffer a considerable loss if the deadlock with the ROK is more drawn out. The DPRK will get serious damage economically, including on long-term development programs and economic cooperation projects. The most serious damage will be loss of international confidence. The open-door policy, which the DPRK pursued in spite of the nuclear abandonment, will face great trouble when the it loses the trust of international society. Yoo Ho-yul, a professor of the DPRK studies at Korea University, expected that the DPRK would get serious damage by decrease of international trust in the long-term along with the short-term economic loss. Yonhap News (“S. KOREA TO DISCUSS TOURIST’S DEATH IN N. KOREA AT ARF “, Seoul, 2008/07/17) reported that Seoul plans to discuss the recent shooting death of a South Korean at a DPRK mountain resort during a meeting of senior officials of the ASEAN Regional Forum (ARF), a government source said. The shooting death of the ROK tourist at the Mount Geumgang resort can be addressed in the plenary meeting of the regional forum, scheduled to take place in Singapore next week, as an official agenda item because it can influence the regional security environment, said the source. The government also plans to make an effort to have the ARF chairman include the issue in his statement. Agence France-Presse (“KILLING MUST NOT DISRUPT NKOREA NUCLEAR TALKS: SEOUL ENVOY “, Seoul, 2008/07/17) reported that the DPRK ‘s killing of a ROK tourist should not be allowed to disrupt international nuclear disarmament talks which include the two nations, Seoul ‘s envoy to the forum said. Kim Sook said in an interview with Seoul-based PBC radio the two issues must be handled separately. Chosun Ilbo (“LEE THREATENS TO END MT. KUMGANG TOURS “, 2008/07/17) reported that Seoul cannot resume tours to the Mt. Kumgang resort in the DPRK unless the DPRK agrees on a joint probe into the fatal shooting of a ROK tourist there, promises to take measures to prevent the recurrence of similar incidents, and guarantees safe passage of tourists, President Lee Myung-bak said. Presidential spokesman Lee Dong-kwan quoted the president as making the remarks after the DPRK rebuffed all ROK attempts to investigate Friday’s fatal shooting of Park Wang-ja (53) at the mountain resort. The Associated Press (Hyung-Jin Kim, “SKOREA PRESIDENT: KEEP NKOREA TOURS ON HOLD”, Seoul, 2008/07/16) reported that the ROK’s president said that tours to a DPRK mountain resort would not resume unless the DPRK cooperates in an investigation into the shooting death of a ROK tourist. President Lee Myung-bak told a Cabinet meeting that tours should be halted unless the DPRK allows in ROK investigators and strict safety measures for tourists are in place. The DPRK expressed regret over the shooting, but has claimed the woman entered a military restricted area and fled after a soldier told her to halt. The country also demanded the ROK apologize for suspending the tour after the shooting. Donga Ilbo (“‘N. KOREA’S INITIAL REPORT ON TOURIST SHOOTING WAS NOT TRUE'”, 2008/07/16) reported that Hyundai Asan, the ROK operator of tours to Mount Geumgang, said that the DPRK’s initial report on Friday’s tourist shooting sent to the ROK was not true. Hyundai Asan CEO Yoon Man-joon said, “Though not sufficiently, I heard a little bit about the incident (from the North). It appears certain differences were in the initial report that was submitted shortly after the incident.” A Hyundai Asan source said Yoon and his team checked the distance covered by Park Wang-ja Friday morning, when the shooting occurred, and concluded that her move in time quoted by the DPRK was impossible. Joongang Ilbo (Jung Ha-won, “NORTH NO HELP IN PROBE OF WOMAN SHOT BY A SOLDIER”, 2008/07/15) reported that Hyundai Asan President Yoon Man-joon returned from his two-day visit to the DPRK with little progress in the investigation into why a ROK housewife was shot dead by a DPRK soldier. Pyongyang refused to allow any investigators from the ROK into the country and said a CCTV camera that may have recorded the incident was not working. “The North remains unchanged on its stance that there is no need for a joint investigation … We had hoped there would be some visible progress, but we ended up with little,” Yoon said. Yonhap (Shim Sun-ah, “CIVIC GROUPS DENOUNCE N.K.’S UNCOOPERATIVE ATTITUDE ON TOURIST’S DEATH”, 2008/07/15) reported that a network of civic groups criticized the DPRK’s “arrogant” response to the shooting death of a ROK tourist near a DPRK mountain resort last week and called on Pyongyang to cooperate with Seoul’s probe of the incident. “North Korea has consistently maintained an ‘arrogant’ attitude, refusing to accept South Korea’s demand for an on-site investigation,” the group said in a statement. Activists from the 34 groups, including ones representing DPRK defectors who settled in the ROK, read the statement to reporters in front of the Central Government Complex in Seoul. Associated Press (Hyung-jin Kim, “NORTH KOREA REJECTS PROBE INTO SHOOTING DEATH”, Seoul, 2008/07/15) reported that the Hyundai Asan failed to persuade the DPRK to cooperate in an investigation into the killing of an ROK tourist at Mt. Kumgang, Yoon Man-jun, head of the firm, said after a four-day trip on Tuesday. “The North also feels sorry for this incident and is seriously pondering how to cope with it,” Yoon said in a statement after returning to the ROK. Also Tuesday, the ROK attempted again to send an official message calling for the DPRK’s cooperation, but Pyongyang refused to receive the message, Unification Ministry spokesman Kim Ho-nyeon said. Kim said the government has an “idea in mind” on how to resolve the issue in case Pyongyang keeps refusing to cooperate, but he declined to elaborate. Yonhap News (“GOV’T TEAM FORMED TO PROBE KILLING OF S. KOREAN TOURIST IN N. KOREA “, Seoul, 2008/07/14) reported that t he government organized a team of senior officials and experts on Monday to investigate last week’s killing of a ROK citizen by a DPRK soldier at the DPRK’s resort mountain, the Unification Ministry said. The team is composed of officials from eight government offices related experts, including forensics doctors, and held its first meeting in the afternoon, the ministry said. Led by Hwang Bu-gi, a senior official of the Unification Ministry, the team will focus on questioning ROK witnesses and preparing for potential on-site inspection of the scene in the DPRK, Kim Ho-nyoun, spokesman for the ministry, told reporters. Chosun Ilbo (“N.KOREA TOURS FACE COMPLETE SUSPENSION”, 2008/07/14) reported that with the killing of a ROK tourist by DPRK soldiers, tour programs to Mt. Kumgang and Kaesong operated by Hyundai Asan are in danger of complete suspension. It seems likely that the stalemate will be protracted, considering that the two Koreas are in a standoff over how to respond to the incident and that unlike the previous two ROK administrations, the Lee Myung-bak government has no proper dialogue channel with the DPRK. Joongang Ilbo (Moon Gwang-lip, “INTER-KOREA TRADE COMPANIES FALL “, 2008/07/14) reported that s hares in companies known to be related to inter-Korean economic exchange fell sharply after the death of a ROK tourist during a trip to Mount Kumgang in the DPRK. Affiliates in the Hyundai Group sank, with Hyundai Merchant Marine falling 3.3 percent to 37,700 won ($37.5). Hyundai Group owns Hyundai Asan, the exclusive operator of tours from to the DPRK. 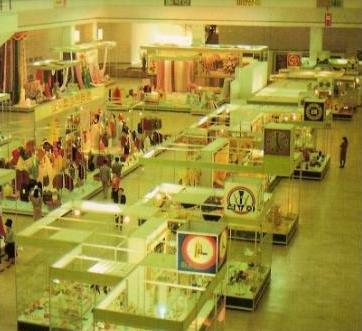 Some stocks, which are also classified by several local analysts as Inter-Korean business-related shares mainly because they are headquartered in the DPRK’s Kaesong Industrial Complex or they have high chances of selling their products to the DPRK, closed considerably lower in the day. Korea Times (Kim Sue-young, “SOUTH TO CLARIFY STANCE AFTER PROBE INTO TOURIST KILLING”, Seoul, 2008/07/14) reported that the government will determine whether the shooting death of an ROK tourist at Mount Kumgang Friday was intentional or not after investigations are completed, the Unification Ministry said Monday. Ministry spokesman Kim Ho-nyoun said it was too early to draw any conclusions about the incident since nothing has been clarified. Korea Times (Michael Ha, “‘VISITORS OFTEN ENCOUNTERED N. KOREAN SOLDIERS'”, Seoul, 2008/07/14) reported that some tourists who have visited Mt. Kumgang in the past are now recounting how they had wandered into restricted military areas outside the government-sanctioned resort and were detained by DPRK soldiers. Some reports suggested that Hyundai Asan, a subsidiary of the Hyundai conglomerate which operates tourism there, did not take sufficient precautionary measures and that the company deserved at least some blame for the shooting death of Park Wang-ja last Friday. SEOUL (Yonhap) — Political confrontation deepened between the two Koreas when a South Korean tourist was shot dead on July 11 by a North Korean soldier while she was taking a pre-dawn stroll on a beach near North’s Mt. Kumgang tourist resort. North Korea claimed that Park Wang-ja, 53, crossed deep into a fenced-off military area, but fled toward her hotel when the soldier ordered her to halt. She died 200 meters from the fence at 4:50 a.m., according to statements from the North. The incident prompted Seoul to suspend the inter-Korean tour program since July 12. The program was launched by Hyundai Asan Co., an affiliate of the South Korean conglomerate Hyundai Group, in November 1998. The South Korean government has repeatedly asked for North Korea’s full cooperation in investigating the death of the Seoul housewife, but the communist North has refused to allow South Korean investigators to enter, instead demanding an apology from South Korean authorities. The North’s authorities in charge of the joint tourism program accused the victim of trespassing in a restricted military area, and insisted that the responsibility for the incident rests entirely with South Korea. On July 12, North Korea said that it regrets the death, but rejected Seoul’s proposals to send a fact-finding team to the site. “A South Korean who came to tour Mt. Kumgang was shot to death by a serviceman of the (North) Korean People’s Army at around 4:50 a.m. on July 11. The DPRK (North Korea) feels regretful at this,” the spokesman for the Guidance Bureau for the Comprehensive Development of Scenic Spots said in a statement carried by the (North) Korean Central News Agency. In response to the South’s measures, the North called Seoul’s decision to suspend the program a “challenge” to the North. “The south side authorities unilaterally announced that they would suspend the tour of Mt. Kumgang for the time being, a challenge to the North side,” the spokesman added. The North also urged the South to apologize for the incident. “The south side should be held responsible for the incident, make clear apology to the North side and take measures against the recurrence of a similar incident,” the spokesman said. South Korea’s Unification Ministry said on July 12 that the killing cannot be justified under any circumstances since a proper investigative procedure should have come first, even if there was any problem caused by the tourist. “The North Korean military shot dead an unarmed (South Korean) female tourist. The act was wrong by any measure, unimaginable and should not have occurred at all,” Kim Ho-nyoun, spokesman for the ministry, said in a statement. He also said the North’s account left some questions, such as how the middle-aged housewife was able to cover a distance of about 3 kilometers in just 20 minutes. The tragic incident came hours before South Korean President Lee Myung-bak made a proposal to North Korea to resume stalled dialogue. In his parliamentary speech on July 11, the president said his government is “willing to engage in serious consultations on how to implement the inter-Korean agreements made so far,” including the two summit accords signed by his liberal predecessors. Pyongyang has stepped up harsh criticism of Lee, demanding he respect and inherit the accords. South Korea’s presidential office, Cheong Wa Dae, said on July 14 that the tour program will remain suspended until the shooting is “satisfactorily” explained and resolved. Cheong Wa Dae spokesman Lee Dong-kwan said in a media briefing that despite the halt of the tour program, the South Korean government is still determined to resume dialogue with North Korea on broad inter-Korean issues.